Artist's impression of the new public space at Old Street. 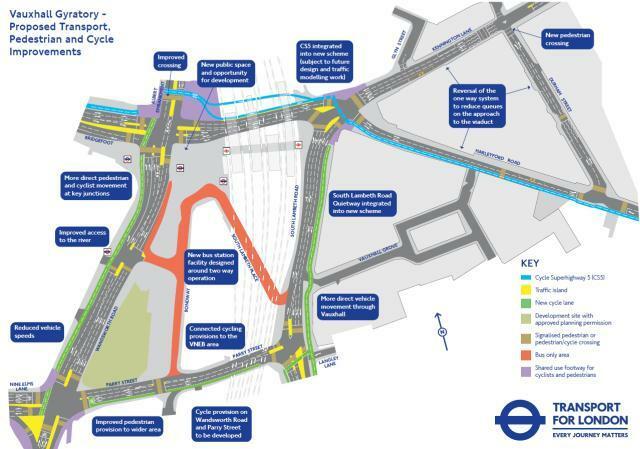 Planned changes to the road layout at Old Street. Planned changes to the road layout at Vauxhall. Artist's impression of the new Vauxhall bus station. The planned Northern Line extension to Battersea. The Northern Line tube extension to Battersea has been given the governmental seal of approval, so it's now full-steam ahead for the new spur. 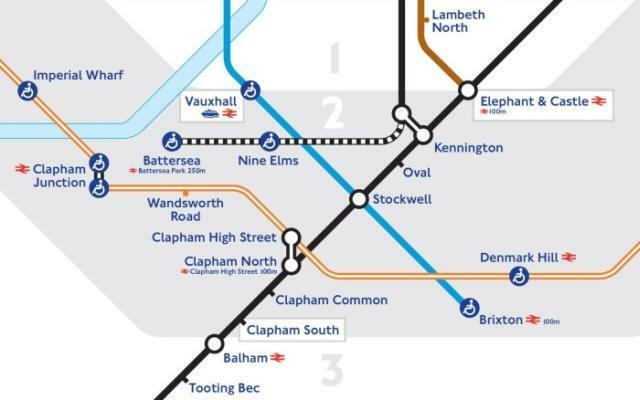 It'll curve off from the Charing Cross branch to call at new stations Nine Elms and Battersea. Construction is expected to start next spring and the line should be taking passengers in 2020. 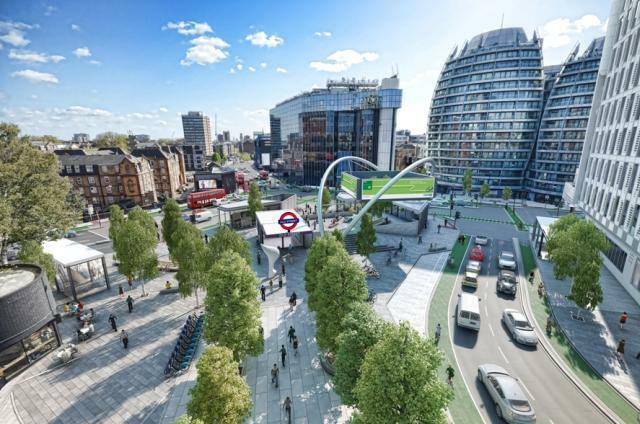 And while we're talking about that area, Transport for London is consulting on changes to Vauxhall Cross. This is just one of a series of consultations for the works — an earlier one was just about segregated cycle lanes, and there are more scheduled for 2015. The plan is to alter the one way system, change junctions, introduce cycle-only routes and involve replacing the famous ski-lift bus station with something that looks similar in function, but a lot wavier. There are three events where you can speak to TfL and Lambeth Council reps (22 and 26 November, 9 December) or just take a look at the information that's online. 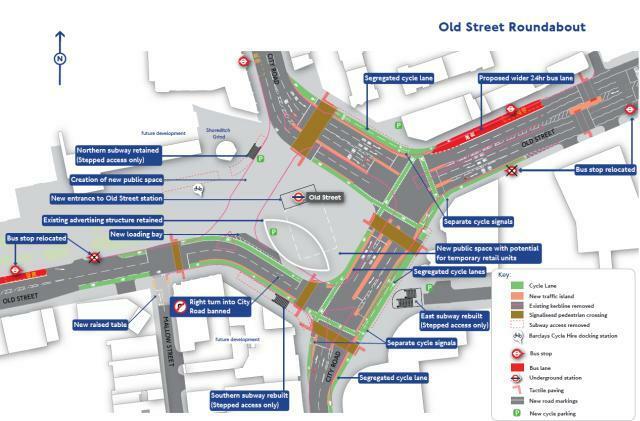 There's even more gyratory-changing action planned for Old Street, which TfL wants to change into more of a U-bend. That would have the effect of creating a new public square (though it's taking quite a leap of imagination to picture ourselves hanging out in the middle of what would have been grimy Old Street roundabout) and cycle lanes which will be segregated where possible. 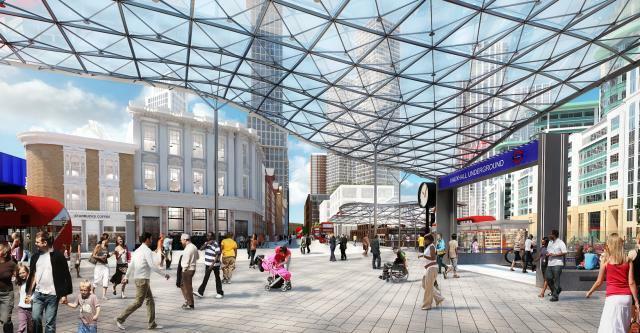 Old Street tube station will also finally get an entrance that doesn't involve using one of those hideous subways. Again, there's more information and a chance for you to give feedback online.